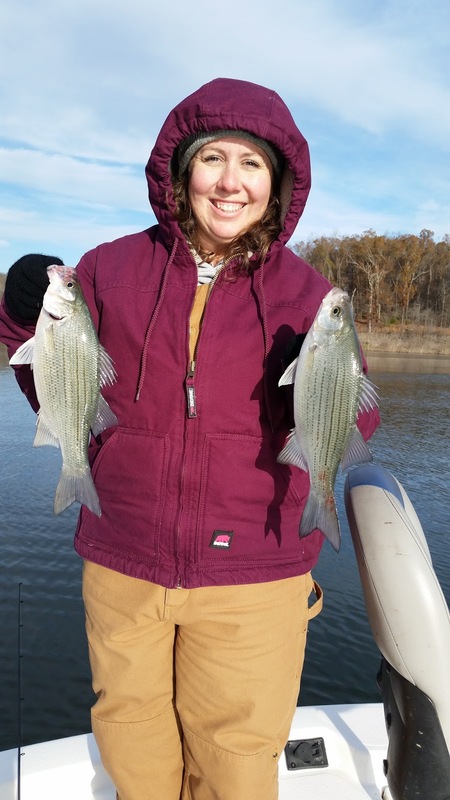 Norfork Lake has gone through a lot of changes over the last week, but the fish have seemed to adjust very quickly. The lake has risen over 4 feet and we have had some really cool nights. The lake temperature has finally hit 59 degrees and should continue to fall slowly. 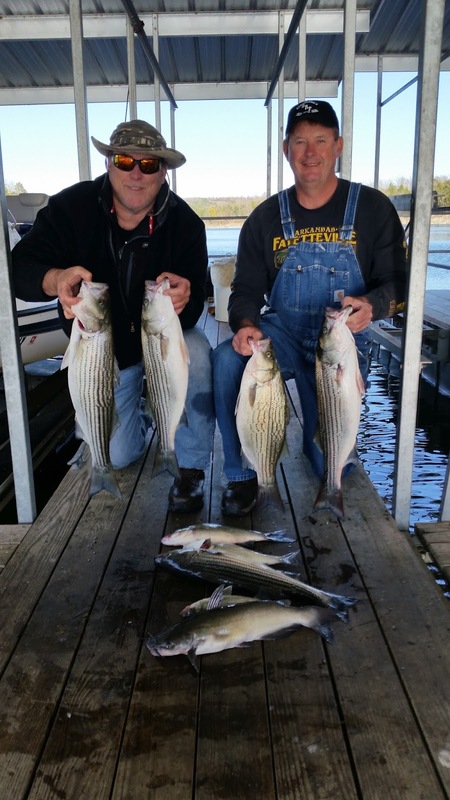 Over the last week I have mainly fished for stripers, hybrids and white bass. I have had success with all these species. I looked in toward the shoreline and saw that fish were starting to bust the surface. 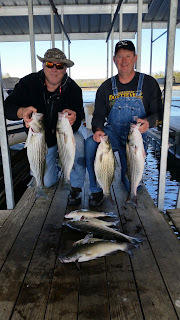 I moved into 30 - 35 feet of water and found a lot of whites on the bottom with stripers hitting the surface. I starting to cast out a 1/2 ounce Kastmaster with a feather on the hook and landed a small but legal striper. 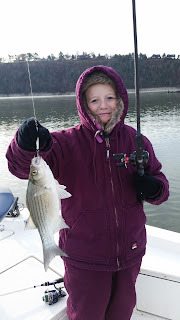 My daughter and granddaughter were jigging with spoons on the bottom and the whites started to hammer their spoons. That was it for me with casting :-) We all caught whites. 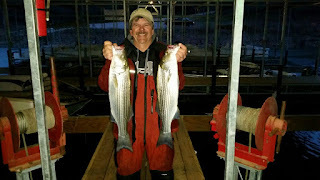 Trolling has also been very productive for a couple of our guests. 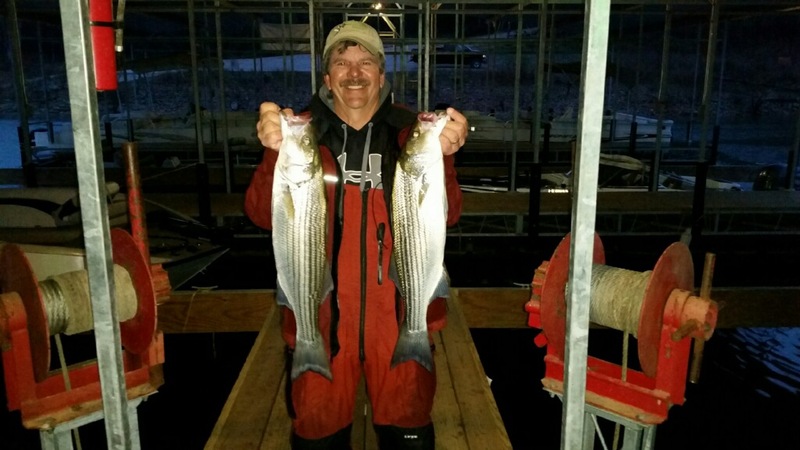 They had their downriggers set at 30 and 50 ft and were catching nice size fish on a 6 inch swim bait at both depths. 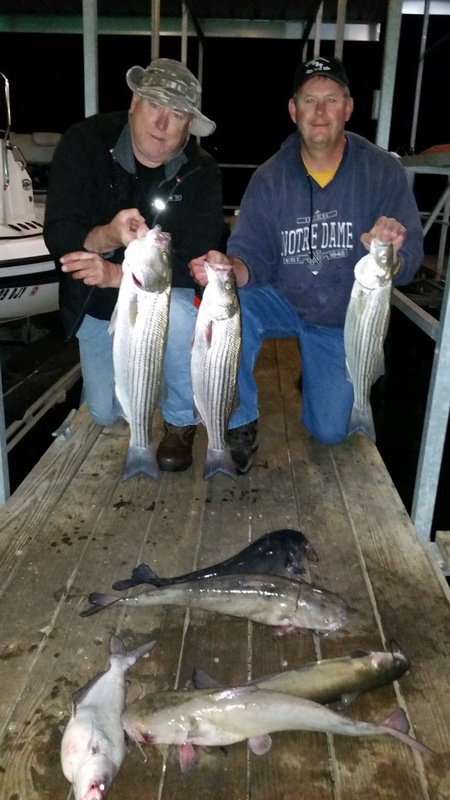 They were mainly trolling the deeper water close to the old river channels. I have not been able to check out the major checks, but typically the stripers move back into the creeks especially after a rise in the lake level. I will check it out over the next day or so. Catfish are also feeding heavily. My guests were catching lots of cats on worms and chicken livers. 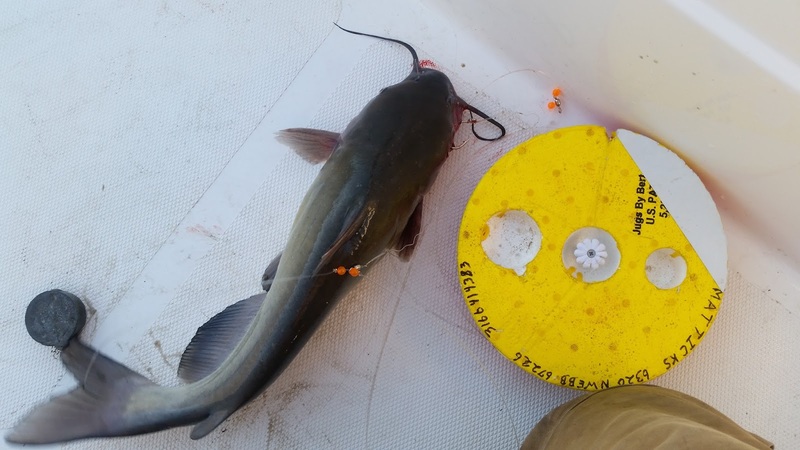 They would check them in the morning and usually land 5 or 6 cats then they would rebait and check right before dark and catch a bunch more. They lost one of their floats, and on Sunday afternoon I was fishing out on the Mallard flats and saw a float out in the middle of the lake. I checked it and found their name on the float, pulled it up and there was a nice channel cat on the end. 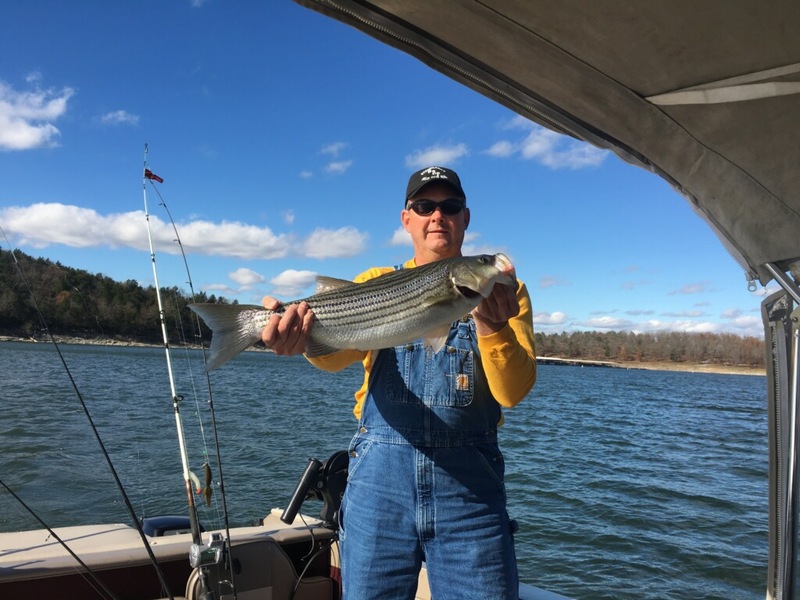 I released the fish and will save the float until they return next spring. 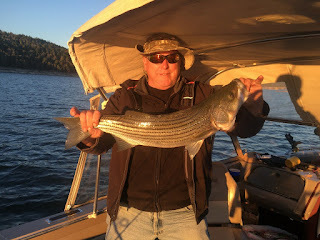 I have not been bass or crappie fishing over the last week so not much news on that from here. I will let you know once I have a chance. Norfork Lake level has risen to 558.0 over the last week, but power generation is starting to occur so I would suspect the Corp. will start dropping the lake level. The lake surface water temperature has fallen to 59 degrees and should continue to fall slowly with our cool nights. The creeks and coves are stained (a great fishing color) and the main lake is semi clear.